We (Hans and Matthias) start to build a new bike, which is of course faster than the old one. 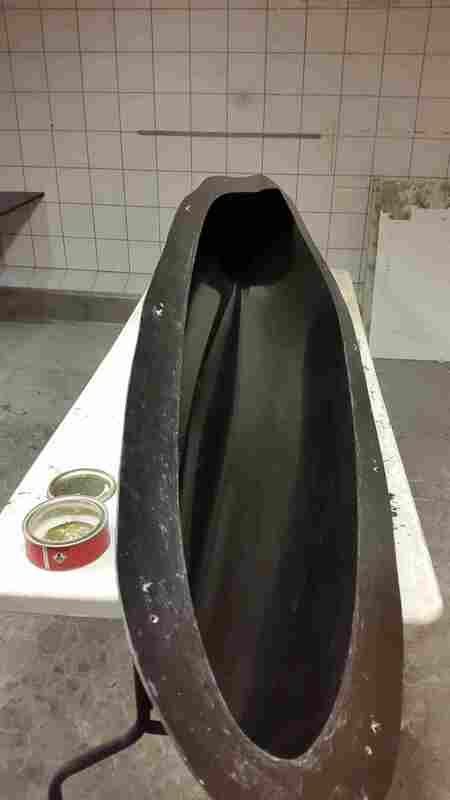 Therefore we prepared the negative mold for a new fairing. The outer shape will stay the same, but the new one will be a camera bike and have no window in the front. We are also planning to devide the fairing in a front and rear part. With these two changes we hope to improve the laminar flow of the bike and therefor the speed of the bike. 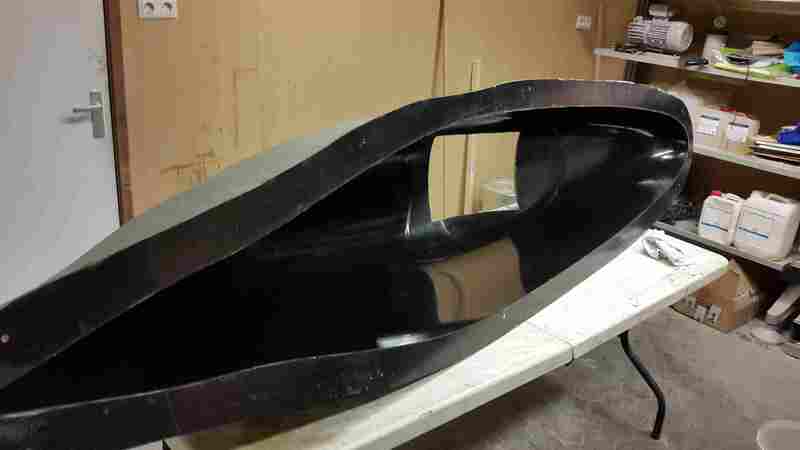 But before you can start building a fairing you have to do a lot of waxing…. Second Part: Building new bike!